Gwen saw this at the university where she works. 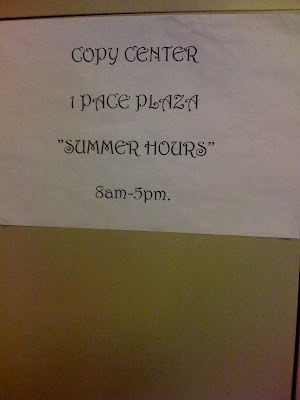 These are probably their hours all the time, but they pretend they are special for the summer. Or maybe it's a way to indicate Daylight Saving Time. "Nice" font choice, too. Ahem.